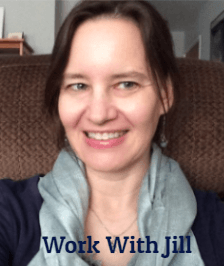 Ah Jill…that was so timely for me. So often I do exactly what you said: it’s not working, and I move on to something else instead of “catching up with myself.” Thanks, for the reminder! I’ve been telling friends I have to catch up with myself for months now. There is a lot on my plate and I need to slow down to do that. Thanks Jill!